This 144-year-old company is defining itself for the first time. We’re helping them do it. 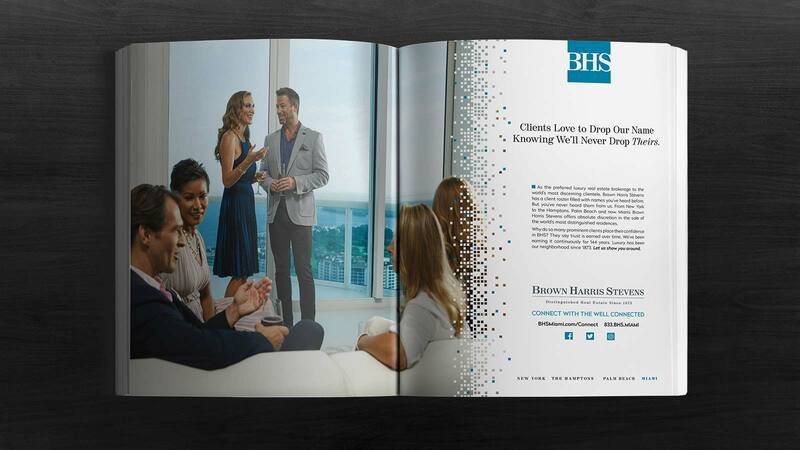 There are other New York brokerage houses that have put down roots in Miami. But those firms lack the inherent association with old-money New York that belongs exclusively to Brown Harris Stevens, earned deal by deal since 1873. 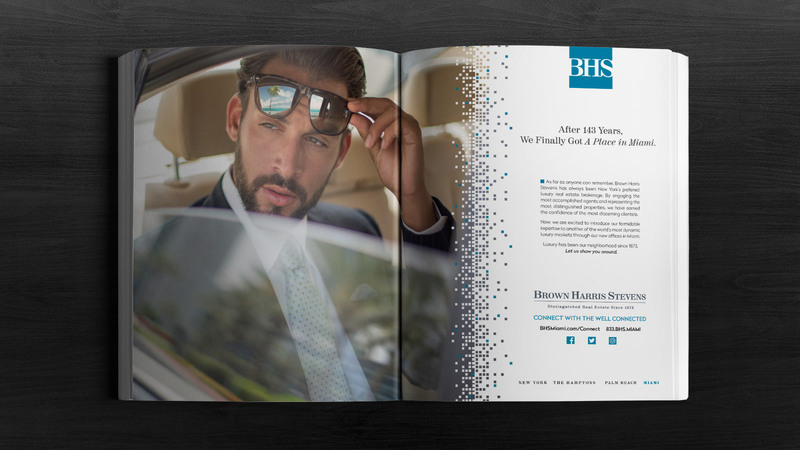 Brown Harris Stevens serves the real estate needs of its high-net-worth clientele better than any other firm around, because luxury is all they do, and all they have done, for five generations. The idea of being well connected is very New York. 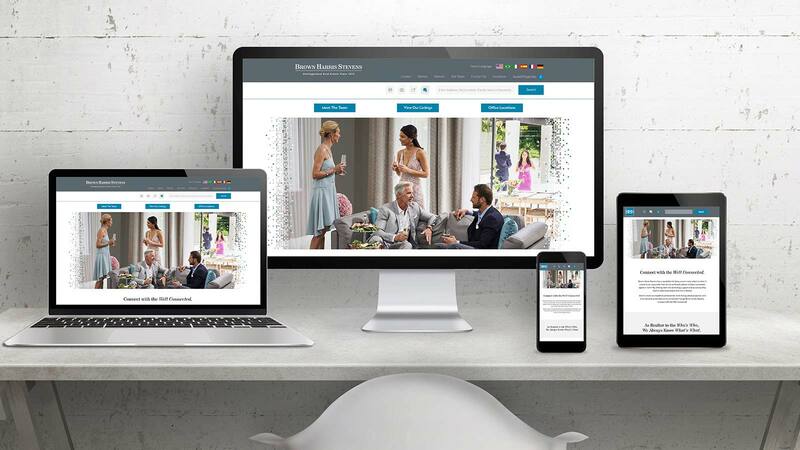 But the theme pivots immediately to other kinds of relevant connections: sellers connecting with buyers; buyers to properties; brokers connecting to data; brokers to brokers. 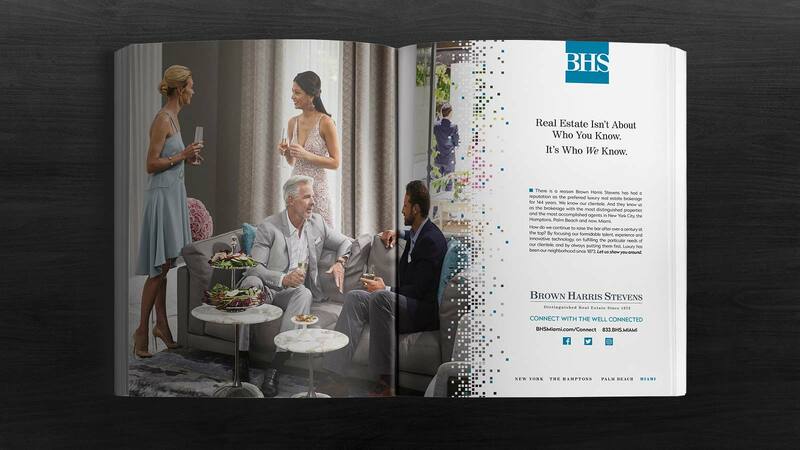 And, most importantly, Miami real estate and the world’s most coveted buyers, all connecting through the powerful global luxury brand that is New York. Represented exclusively by Brown Harris Stevens. From conception through casting, location scouting, shoot and post-production, LGD kept a tight rein on realizing its vision for the ‘Connect’ campaign. 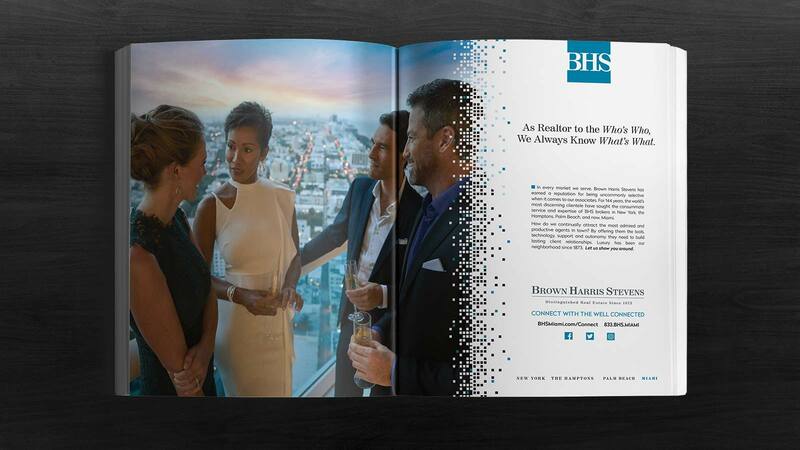 Ultimately, we succeeded in launching the BHS Miami brand as the best-connected brokerage in the markets they serve.